If you had seven Booster Gold autographs and Booster gave you eight more, how many autographs do you have? If Booster Gold had ten costumes and Doomsday destroyed three of them, how many costumes remain? If Booster Gold stole eight super powers and then stole ten more, how many super powers has he taken in all? If a villain held seven hostages and Booster Gold freed three of them, how many hostages remain? In case you missed the news on Friday, Greg Berlanti told TheWrap.com that the much anticipated Booster Gold movie is still "in development with DC." "They're trying to figure out both the distance that we still have to travel and how we want to execute it." Another factor for the studio, he said, was "how it's going to fit into their greater landscape" — meaning the rest of the DC Films slate that has been in a state of flux given the muted critical and box office reception for films like Suicide Squad and Justice League. "That's really on them, they're still kind of determining their order of business on that end." The article goes on to state that Berlanti has completed a draft of the script (presumably by Zack Stentz), and he "remains open" to directing ("if the studio is excited — it's obviously their determination"). 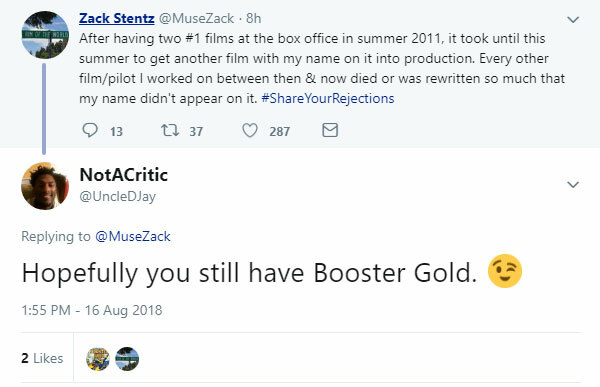 It sounds to me like Booster boosters need to start showing some love to the live-action DC films currently in the pipeline at Warner Bros (and maybe also to Berlanti's current movie project, Love, Simon) if we want to encourage the studio to finally pull the trigger on bringing Booster Gold: The Movie to a theater near us anytime soon. If DC started putting some humor into their movies, I would show them some love. Just like if Marvel had its comics heroes stop fighting each other every year, I'd show its comics some love. KryptonSite.com reported yesterday that Warner Bros has terminated their association with Andrew Kreisberg following a three week investigation into inappropriate behavior. Though Kreisberg was most recently credited as Executive Producer on CW television shows The Flash, Arrow, Supergirl, and Legends of Tomorrow, fans of Booster Gold most likely know him as the writer of the Justice League Unlimited episode "The Greatest Story Never Told." Kreisberg was also attached to an attempt to sell a Booster Gold television show to Syfy in 2011. He has long been an avid promoter of our hero. 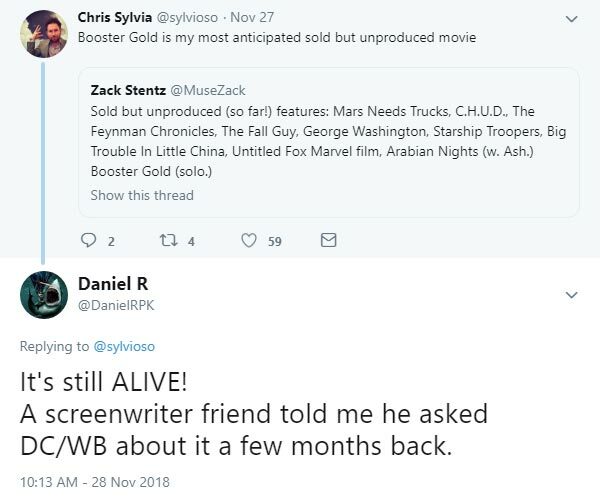 I had expressed disappointment last year when Greg Berlanti announced that Zack Stentz, not Kreisberg, would be the writer working on the latest attempt to get a Booster Gold movie off the ground. However, given the recent events, perhaps that was for the best. At least Kreisberg's ouster shouldn't harm Berlanti's prospects of getting its Booster Gold movie made. If you had four Booster Gold autographs and Booster gave you ten more, how many autographs do you have?